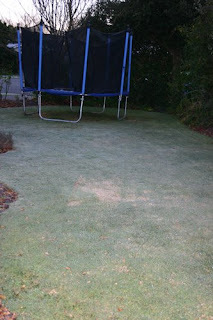 I think this might be the first frost of the year. We've had cold days but usually cold with rain not one of those clear cold days. When I dropped the boys off at school today at around 8am it was only 1C, but for all that it's cold, I just love the sun that comes out during the day.